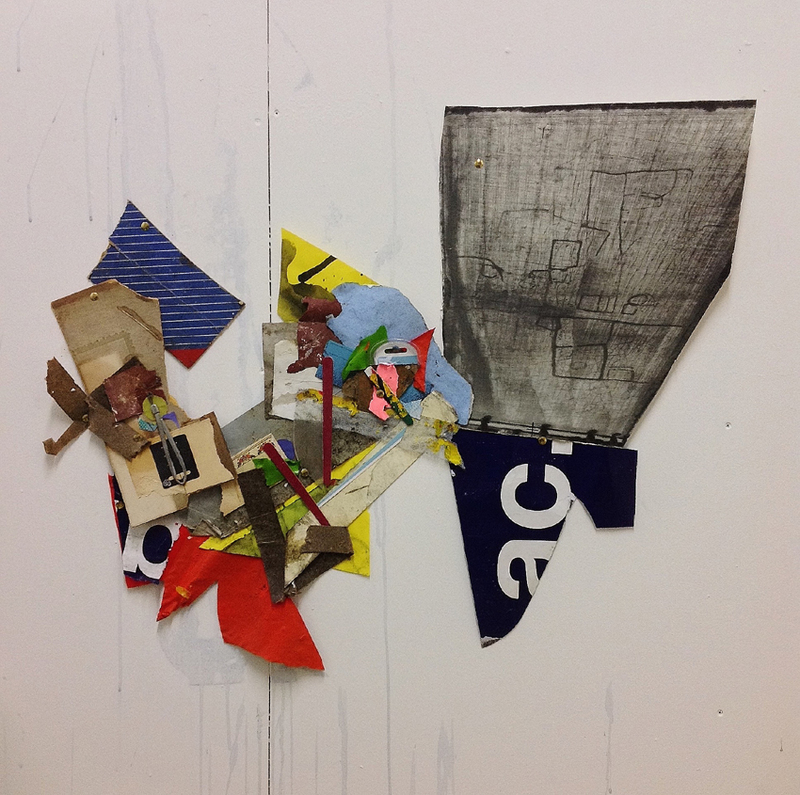 John Bunker, ‘Old Roan’, 2015, 70cmx85cm, mixed media shaped collage. Tribe: New & recent collages by John Bunker was at Westminster Reference Library, 35 St Martin’s Street, London; now closed. 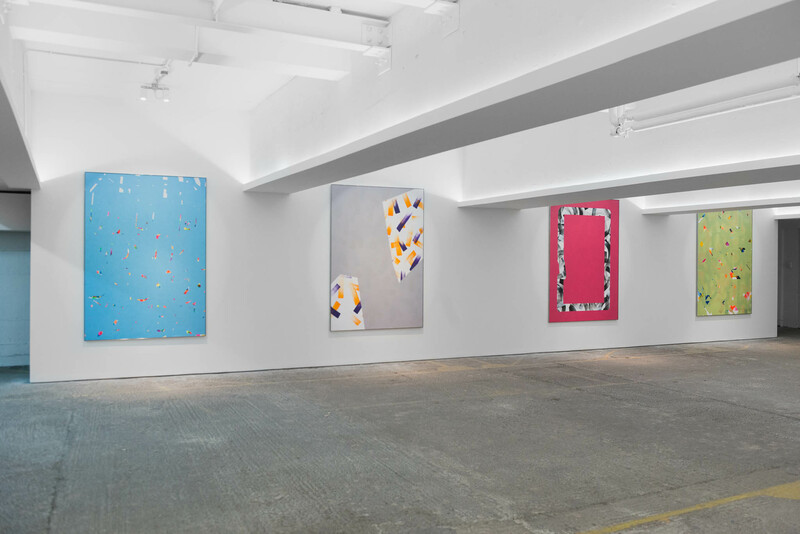 John Hoyland: Power Stations At Newport Street Gallery, Newport Street, London until 3rd April 2016. Choosing to visit two exhibitions on the same day should always be considered with care, for one might critically overshadow the other. If you are fortunate the two will complement, or resonate with one another in some way. So, having spent the morning looking at the predominantly cinematic John Hoyland canvases in the inaugural ‘Power Stations’ exhibition at Damien Hirst’s Newport Street Gallery (NSG), an afternoon session viewing John Bunker’s comparatively small collages at the Westminster Reference Library was a suitable combination and, by good chance, seen in the right order. After the impressive, no-expense-spared, attraction of the curatorially upmarket Newport Street location (just a 15 minute walk from Tate Britain), the unassuming public library, almost surreptitiously skulking down a side street, but only a stone’s throw from the National Gallery and the National Portrait Gallery, provided a haven of quiet consideration amongst the all-pervading commercial enterprises of central London. This scholarly location encouraged silent contemplation. In a small but adequate space, eight of Bunker’s recent collages were arranged in linear fashion, encouraging the viewer to step up to each one to inspect the various elements. Something like double-portrait sized and displayed at head height, all but one of the collages were nailed to the wall – the odd one out was framed and a little superfluous. These islands of matter floating, though fixed, presented unassuming stuff from the urban world and, by association with the process of collage, the studio floor. The collages were intimate, despite the attention of the spotlights, and fell silent in appropriate surroundings; whereas the high ceilinged, well-lit chambers, of Damian’s gaff in Newport Street created an uplifting sense of awe that could have elicited cries of “wow” from visitors. 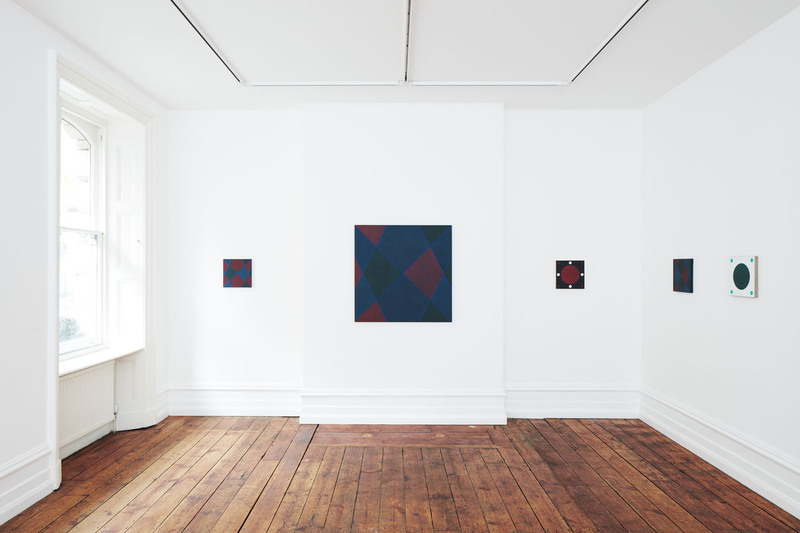 Not that a comparison between Hoyland’s paintings and Bunker’s collages is crucially relevant, or even fair, but the range of sizes and the visual impact of imagery in these works, posed questions of audience experience of the exhibition as spectacle – which can create a fulfilling encounter, large or small as the show might be. Certainly, the aptly titled ‘Power Stations’ display would have impacted on the viewer for the sheer physical size of many of the canvases. And also, with an emphasis on visually explicit colour subject matter, and a celebratory exposition of the act of painting, the compelling experience of offering examples of a range of tour-de-force performances from the studio (a Rachmaninoff piano concerto perhaps – though with Hoyland there’s a New York city jazz twist) may not be too fanciful. It depends on the viewer’s preferences for painting, and music, I dare say. Even an English flâneur may have imagined being on the Côte d’Azur in this heat, pausing on the Promenade des Anglais, to admire the view. On an outstandingly bright summer morning, if you looked south from the De La Warr Pavilion in Bexhill on Sea towards France, the sea and brilliantly dazzling sky dissolved the field of vision, eschewing aerial perspective. Space had flattened; somehow, confirming the shifting nature of perception as optically realised and, therefore (or thereafter), re-conceptualised, re-seen, rather than diminished without the culturally acquired safety net of perspective. 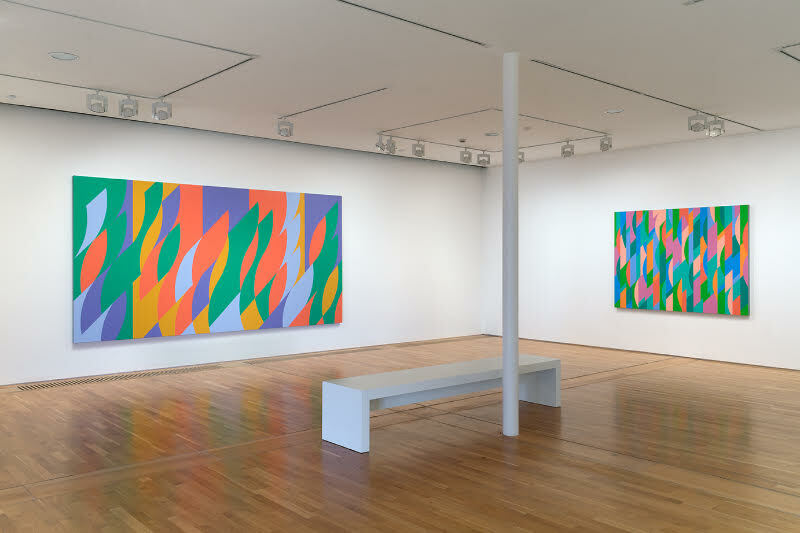 Bridget Riley might be categorised as a ‘classic’ abstract/geometric painter, whose practice engages with image making that, autobiographically, encapsulates her perfectionist tendencies. Her methodological practice is invariably characterised by tightly controlled, sensuously schematic, repetitive and minimalist, optically demanding imagery. She’s a serial, visual, thriller – of the highest order.